Cobb has a long-standing commitment to animal welfare. We are dedicated to the health and well-being of the chickens that we breed, raise and distribute worldwide. To achieve this goal, we have clear standards and expectations for animal handling and care at our farms and hatcheries, and we work with many researchers and poultry experts to continuously advance poultry health and poultry well-being. "Cobb-Vantress, Inc. is committed to the welfare and proper handling of all the birds which we care for directly, and those which we produce and sell to the broiler breeder industry worldwide. We pledge to diligently pursue new and improved genetics, technology, and husbandry practices that will result in enhancing animal well-being and improving bird health. 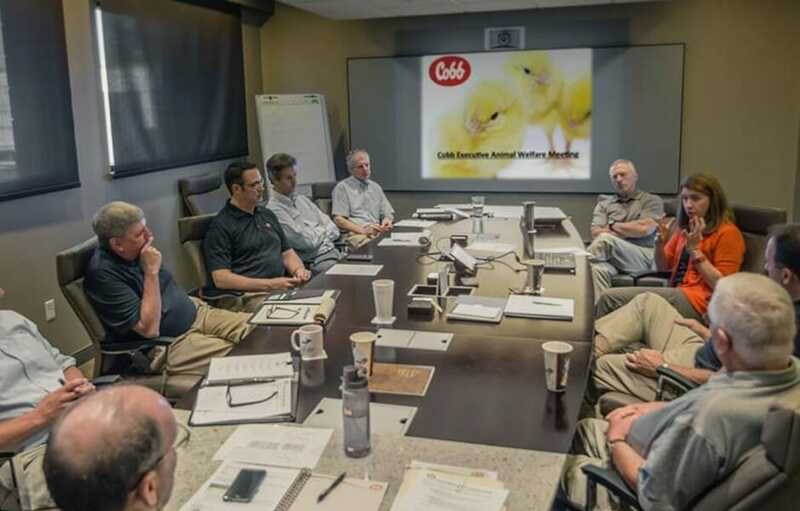 With this commitment to animal welfare, Cobb will be able to sustain the health and well-being of our genetic lines, provide for the needs of the global poultry industry, and contribute to the future of all our Team Members and business partners. All Cobb-Vantress Team Members, as well as our contract growers, have a binding responsibility to serve as stewards of the birds we work with every day, respecting and treating them in a proper humane manner." Orientation training is required for all new employees before actual on-site work starts. This on-boarding training includes Cobb’s animal welfare expectations and policies, and also includes a signed validation from each employee for the consequences that will take place for any violations of company animal welfare policies. Hands-on training is required for all new employees working with live animals. This practical animal welfare training provides specific knowledge and hands-on experience as it relates to care for chickens at the farm or hatchery. Training includes essentials of daily chicken care, correct handling, poultry health and behavior characteristics, humane euthanasia of any injured or sick birds, and verification of environmental conditions for bird comfort. It also incorporates the Cobb ‘buddy system’ that pairs new employees with experienced staff during the early portion of their employment at Cobb so new employees can improve their competency and confidence in working with chickens. Training for animal welfare does not stop after joining the Cobb team. As part of our commitment to animal welfare and employee education, we believe that regular training is desirable to improve awareness and knowledge for all employees and staff who work with live animals at our farms & hatcheries. Monthly training allows on-site managers to share Awareness Topics in small group settings. Examples of Awareness Topics used for monthly animal welfare training include: avian behavior, water management, air quality and temperature management, emergency preparedness, physical assessment of chickens, and humane euthanasia of poultry. 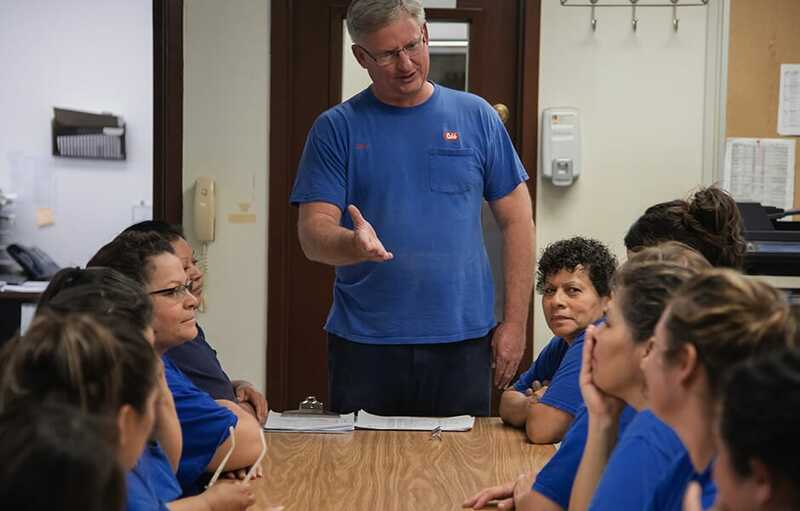 The goal of monthly training is to improve employee understanding for daily poultry care as it relates to their role at the farm or at the hatchery, and to improve the consistency of animal welfare knowledge for all staff at Cobb locations. Annual training is required for all employees and staff who work with live animals at Cobb. 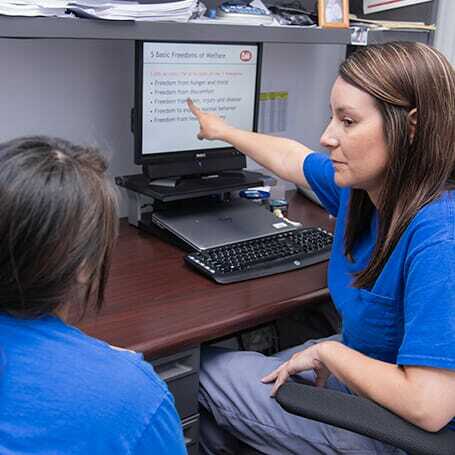 Training topics include: Cobb requirements for animal care and handling, area specific application of the 5 Freedoms of Animal Welfare, acceptable methods of euthanasia, and Cobb’s expectations for animal welfare. 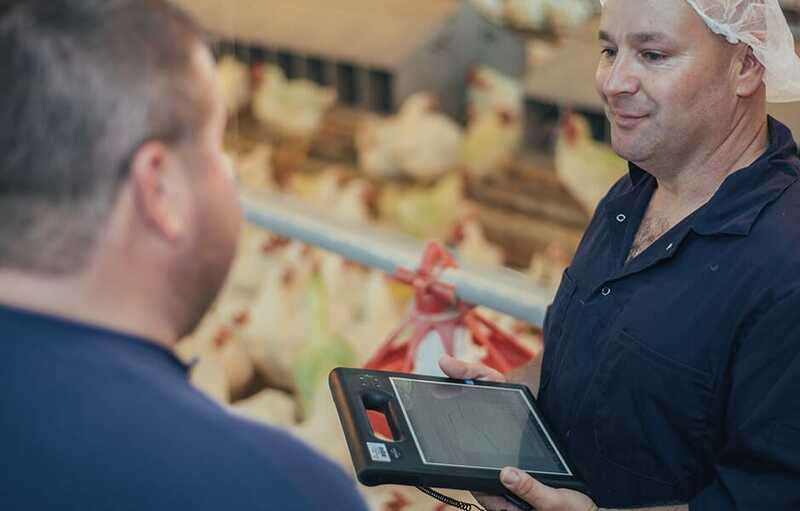 The goal of annual training is to formally review company principles for animal welfare and to have a signed confirmation from each employee and farmer for compliance with the poultry care and welfare standards expected by Cobb. Cobb’s Executive Animal Welfare Committee meets quarterly. This internal committee includes the company’s senior executive team, international business directors, veterinarians, geneticists, technical experts, and Cobb’s Director of Animal Welfare. The goal of this committee is to improve communication about global animal welfare opportunities among senior leaders, to provide support for new animal welfare research, and to offer direction for internal initiatives to improve animal welfare. Cobb’s Animal Welfare Advisory Panel meets annually. This external panel includes researchers and leaders in poultry welfare, animal behavior, and poultry genetics. The goal of this panel is to provide Cobb with independent scientific expertise and guidance to advance knowledge of poultry health, behavior, and welfare. The panel also reviews Cobb’s animal welfare program, animal care standards and audit results, and provides direction for animal welfare research. Benchmarking outcomes so that we can make continual progress.